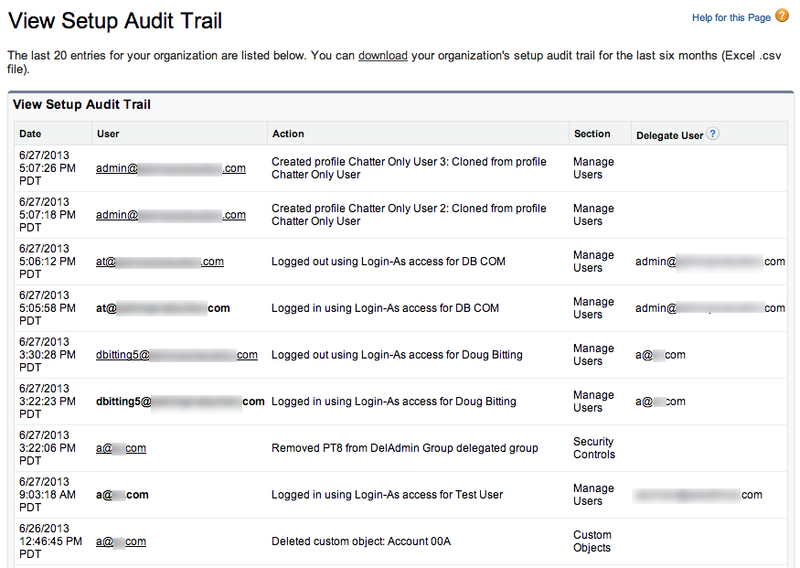 The setup audit trail is designed to capture many of the common changes that take place under Setup. We track the last 20 changes on the screen and for any changes beyond that, you can download a CSV for the past 6 months of changes. I find it helpful to filter by time when troubleshooting a change, since I usually know about when the change took place. Most recently, I helped with a customer case where I was able to recreate the timeline of events related to how the customer moved profile and tab changes between sandbox and production instances. 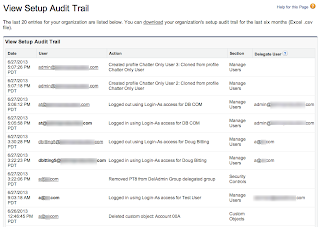 An audit is rarely fun, but having an audit trail can be more than just a way to protect yourself, it can be an invaluable tool for you to troubleshoot a user's access as well as changes to your profiles.